MONTREAL, Jan. 17, 2019 /CNW/ - Today at the Montreal International Auto Show media preview, Mazda Canada Inc. accepted three awards from the Automobile Journalists Association of Canada (AJAC) for winning their overall categories. The MX-5 was awarded Best Sports-Performance Car, while the CX-5 took the award for Best Mid-Size Utility Vehicle, and the CX-9 was named Best Large Utility Vehicle. These awards make the MX-5 eligible to win the overall 2019 Canadian Car of the Year award, and the CX-5 and CX-9 are on the shortlist to win the Canadian Utility Vehicle of the Year for 2019. "Mazda's done it again in 2019, and taken home three of the 12 category wins for AJAC's Canadian Car and Utility Vehicle of the Year 2019. Winning one category is a great achievement, and winning two categories is exceptional. To win three categories is a very clear demonstration that Mazda's vehicles are right in sync with what Canadians want to drive this year," said Mark Richardson, President, AJAC. Mazda prides itself on building some of the finest vehicles in the industry, and these awards go a long way to back up our confidence. 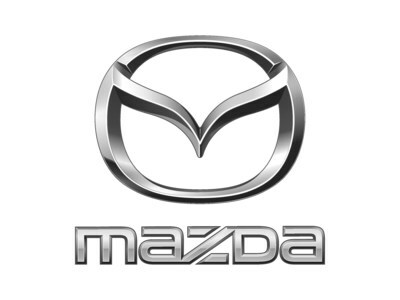 Following 2018's three category wins, Mazda became the most awarded brand by AJAC over their more than thirty-year history. By adding another three category wins in 2019, Mazda only further cements this title in place. The 2019 MX-5 and MX-5 RF exist only to put a smile on the driver's face; a mission that's been in place since the first MX-5 debuted to the world almost thirty years ago. Even though pure speed has never been at the top of the list, 2019 sees some major revisions to the 2.0L engine under the hood of the 'ND' generation MX-5, raising the power output to 181 horsepower, the most ever in a MX-5. With this comes a higher redline, allowing the engine to rev all the way up to a new high of 7,500 RPM. As a result of numerous changes, the 2019 MX-5 is quicker, more responsive and more engaging to drive, adhering to Mazda's unique Jinba Ittai—"horse and rider as one"—engineering philosophy. AJAC's 2018 Best Small Utility, the Mazda CX-5 compact crossover, returns to take the top spot once again, winning the recently-renamed category, 2019 Best Mid-Size Utility. The 2018 CX-5 took a comprehensive package and introduced updates to both 2.0L and 2.5L engines which reduced internal friction, increasing low-end torque and reducing real-world fuel consumption. The 2.5L Skyactiv-G engine also introduced cylinder-deactivation to further enhance fuel economy with gains of up to 20 percent improvements at city speeds, and approximately 5 percent on the highway. The 2019 CX-5 (not yet available for testing for these awards) ups the performance envelope with the introduction of the Skyactiv-G 2.5T, a turbocharged engine producing 250 horsepower and 310 lb-ft of torque at just 2,000 RPM. A new Signature trim adds a higher level of sophistication with authentic materials used in the cabin, such as Cocoa Nappa leather, and real Abachi wood trim throughout the interior. The 2019 Mazda CX-9 is also a returning winner, taking the award for AJAC's Best Large Utility for the second year in a row. The CX-9 is Mazda's largest vehicle, featuring three rows of seats with room for up to seven passengers. For 2019, the CX-9 received improvements to the interior quietness and interior craftsmanship, and added new features customers have been asking for, such as Apple CarPlay™ and Android Auto™, 360° View Monitor, and ventilated front seats. In addition, changes were made to the steering and handling performance to provide even better control and drivability to exceed the driver's expectations. 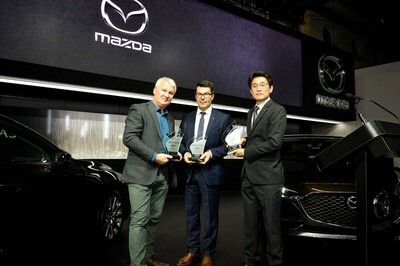 "We are very humbled to be awarded three of the category awards for AJAC's 'Best New' vehicles once again in 2019," said Massey Kondo, President, Mazda Canada. "These awards are borne out of the unbiased and respected opinions of some of Canada's most influential auto experts. We are grateful that this platform exists to highlight the very best vehicles available to consumers today, including the MX-5, CX-5, and CX-9, which we are proud to feature in our Canadian line-up." The AJAC Canadian Car and Utility Vehicle of the Year awards program offers some of the most coveted automotive awards available on the Canadian automotive landscape, and represent the collective voice of Canada's top automotive experts. Vehicles are judged on a large variety of objective and subjective qualities, meaning there is no single factor that determines a win. Instead, the vehicle must represent an overall package of quality, value, comfort, fuel economy, and many other factors that are critical to the Canadian consumer.